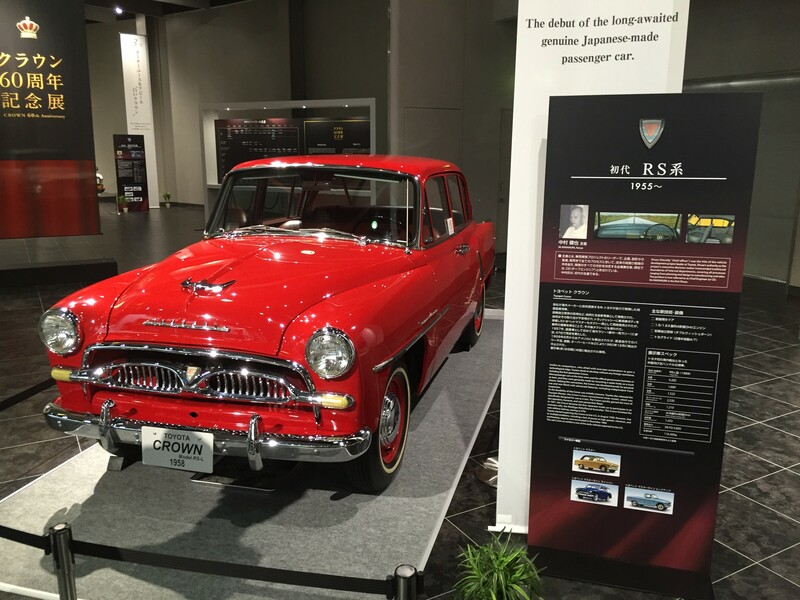 This is the final part in my recent series of posts about my visit to Nagoya in June to talk with Isao Yoshino about his experiences as a Toyota leader for 40 years. 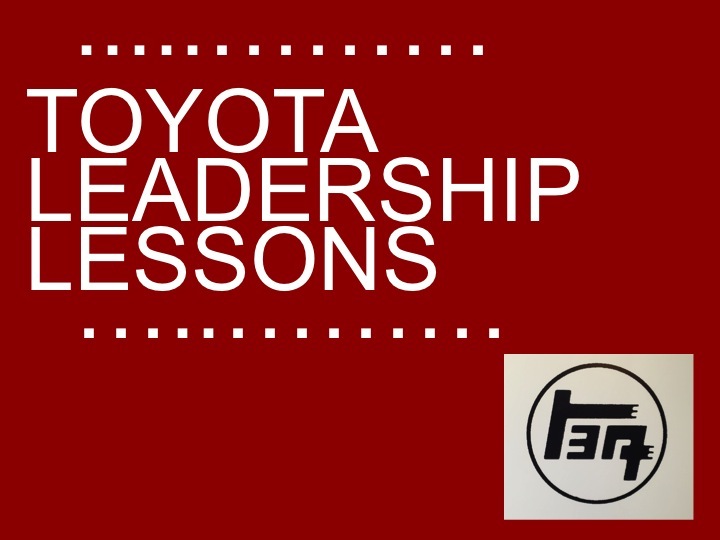 CLICK HERE to get a curated PDF of 10 Toyota leadership lessons that Mr. Yoshino has shared with me. You asked me and I asked Mr. Yoshino! While I was meeting with Yoshino-san, I followed up to ask him about some questions that some of you have posed to me in social media or in personal communication, as well as continued our general discussion on leadership. I am also including more photos from the Toyota Automobile Museum. 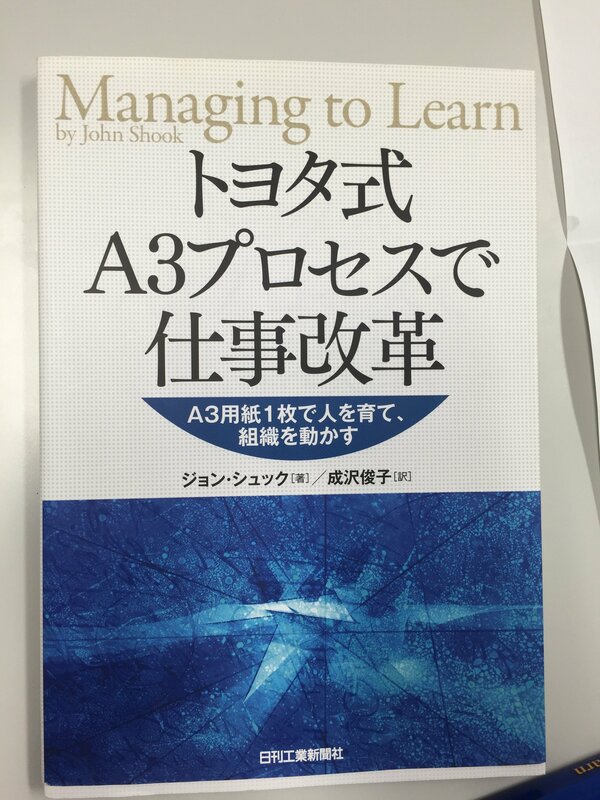 Japanese copy of “Managing to Learn”. Yoshino was one of the models for the manager character of “Sanderson” to Shook’s “Porter”. 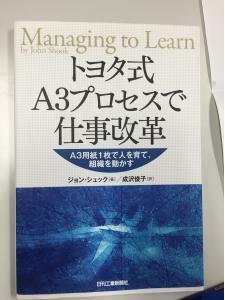 I asked Yoshino about his perspective of A3 thinking and how A3s are used at Toyota. He told me that, “you can know A3 in theory, but you need to practice it to really understand it.” I completely concur! He went on to explain that the process of putting together an A3 is important as it helps each of us to establish the habit to think more deeply, not just give the “answer”. I’ve found this to be true in my own practice, and it is a key point of what I talk about when I teach A3 thinking. A3 at Toyota is used for both communication and problem solving. Yoshino did admit that “sometimes the Toyota style is too much” for some organizations – especially when starting out – and that each organization needs an approach that fits their needs and culture. This perspective is refreshing as I’ve encountered some former employees of long-standing lean thinking companies or consultants who have been less flexible in being able to meet another organization where it is at. The principles are the most important – and the goal of how to develop people’s thinking and capability. The manifestation of the principles in forms of tools and practice will depend on each organization’s culture and stage of development. In our first meeting, Yoshino shared with me that TPS is not used as much in the non-production areas of Toyota, or in other manufacturing industries in Japan. This observation was echoed by the TPS Promotion Office director that I spoke with in Kyushu in June. I followed up with Yoshino in more depth this time asked him why he thinks that TPS or Lean is not used much in non-production areas at Toyota or in Japanese office and service industries. 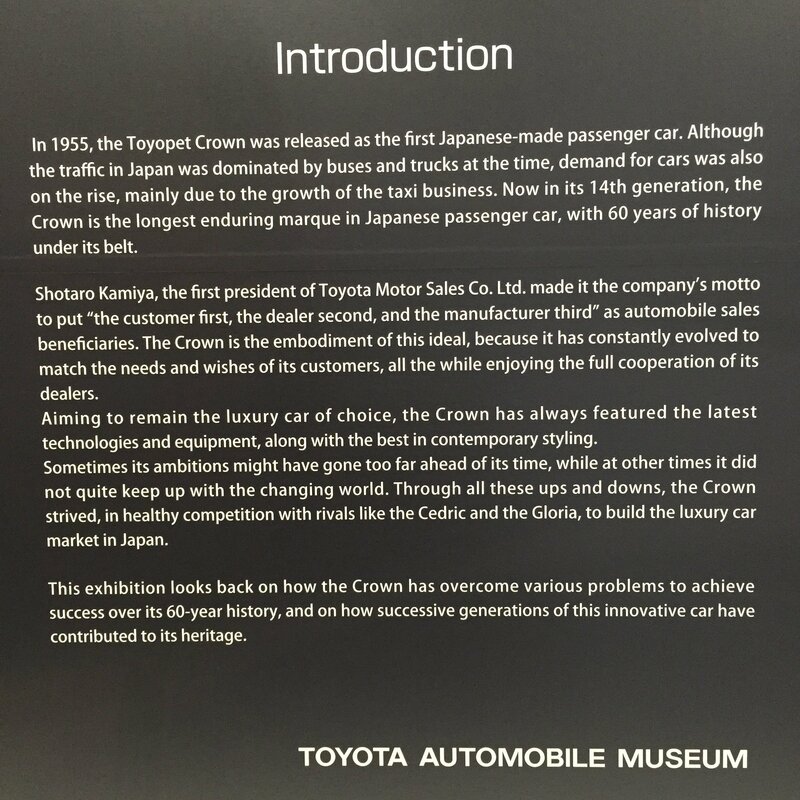 The Toyota Crown was Toyota’s first passenger car, build on the motto “the customer first, the dealer second, the manufacturer third”. His perspective is that in knowledge and office work, it might feel less rewarding to make improvements because the result is not as immediately visible as it might be in a production area. He also thought that perhaps the office areas are doing elements of “TPS” but that they see themselves as different. 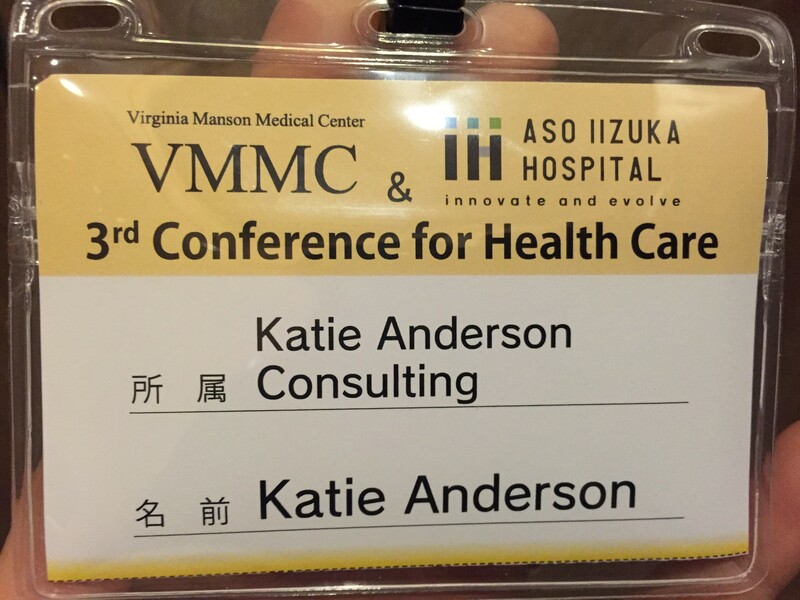 I see a tremendous opportunity in Japan for knowledge and service industries, including healthcare, to learn from the deep practice of Lean many manufacturing organizations have developed. My friend Dan Markovitz just wrote an article for the Harvard Business Review giving examples of how Lean thinking can be applied to knowledge work. Jim Benson, who I heard speak at the recent Lean Coaching Summit, also has many examples of how lean thinking – in particular the application of kanban – can be used to manage knowledge work. 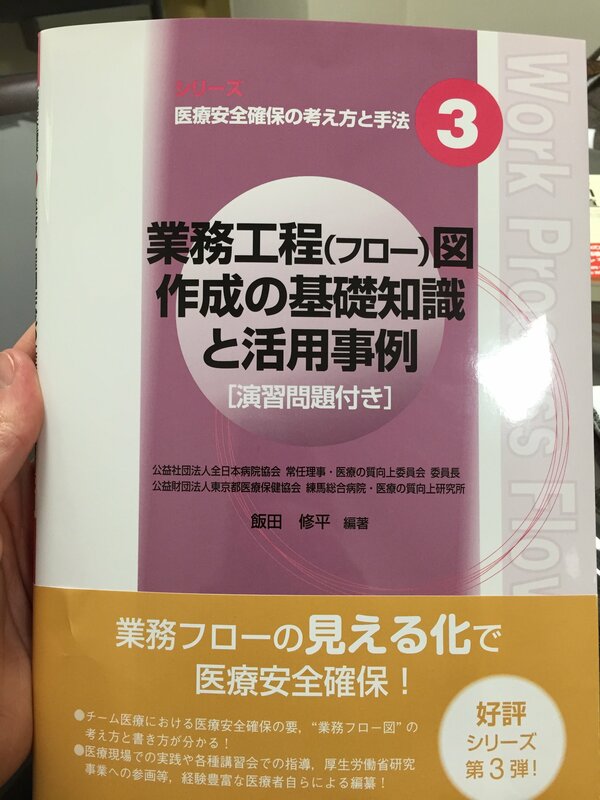 I also asked Yoshino about how he thinks about hoshin kanri – or the practice of strategy deployment – specifically about the process of setting organizational strategic targets. Yoshino shared that the target should be a little higher than you actually think you can attain. The reason for this is that it is good to have failures and mistakes, as it is the what you learn from the lessons of not reaching your targets that make you smarter. 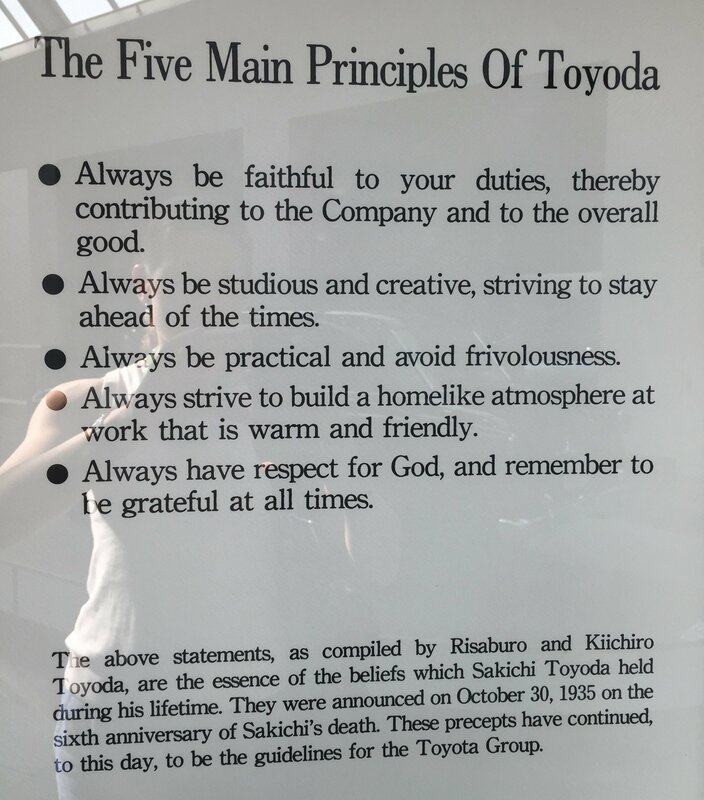 As we toured around the decades of car history at the Toyota Automobile Museum, Yoshino reflected on aspects of Toyota culture. 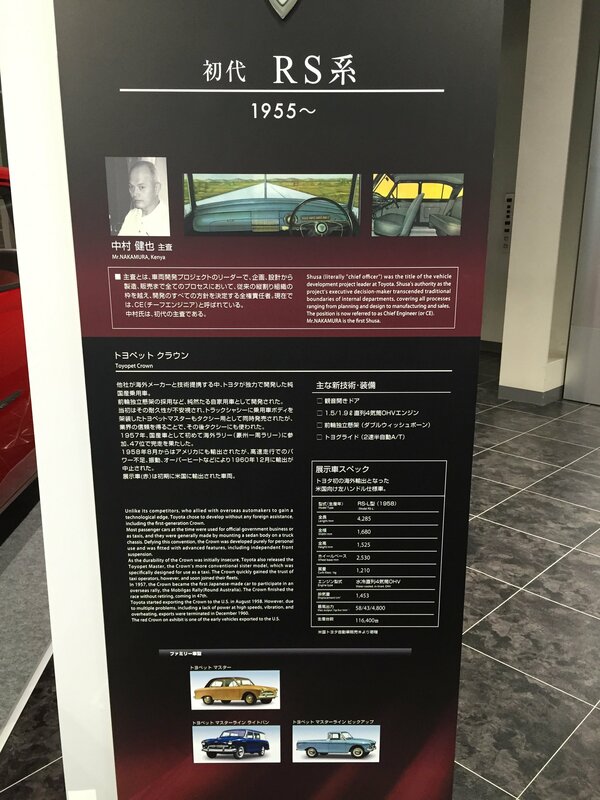 Toyota’s first Chief Engineer, Mr. Nakamura, and the development of the Toyota Crown. 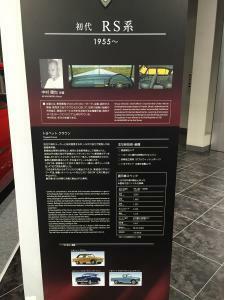 At the Toyota Automobile Museum, there was a small exhibit focused on the cars developed by Toyota’s first chief engineer. Yoshino spoke with respect about the chief engineers that he has known over his career. He had a chance to work with Nakamura-san as well as many others. He said to me that Toyota people are humble and down to earth. They are from the country – as Toyota City is really in the countryside outside of Nagoya. They are not the typlcal “city slickers” that many corporate people are, and Toyota is not based in Tokyo as many corporations are. Respect really means something at Toyota and he links this back to their “simple” roots. The Crown was the first car made using a Chief Engineer as the cross-functional leader. Throughout our conversations, Yoshino has emphasized that Toyota always wants to learn. It is deeply ingrained in the basics of the company mindset to get to root cause. We talked about the recent scandal that was all over the news in June – the arrest of American Toyota VP of Marketing for importing illegal prescription drugs. He thought it was good that the President came out publicly immediately, which he hadn’t done during the recalls. Yoshino said that he was waiting to see how Toyota would really respond internally and what they would learn through the hansei (reflection) process about what happened at a company cultural level that contributed to the situation. It all goes back to being humble and a constant quest of learning in search of continuous improvement towards our goals. If you aren’t already a subscriber, sign up below to be the first to know about new posts. Please leave your comments and questions below. I really enjoy the dialogue with you all!